In this lesson students first try to make a cladogram using the physical appearance of flowers from the figwort family. This illustrates how classification has been done for many years. In the second activity students investigate how new data from DNA sequences has led to new evidence which upsets the accepted classification of Figworts and other species. Finally students consider how the evidence from modern cladistics has shown that classifications of some groups based on structure did not correspond with the evolutionary origins of a group or species and try to decide what is the best way to advance our biological knowledge. Can you give any examples of how classification of organisms has changed in the light of evidence from cladistics? Why are features of flowers thought to be homologous structures, but the wings of a pterodactyl and bat wings are considered analogous - similar structures which developed independently? 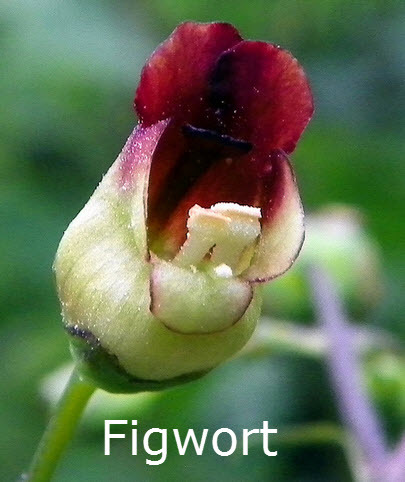 Look at this gallery of photos and the diagram of figwort family flower structure below. Which of the plants looks the most different? Which look most like they would be part of the Figwort family? Biologists have been classifying plants using the external features for many years. If these features are similar the assumption is that the plants are closely related, and that they share many genes. The genotype actually does influence the phenotype, so this makes logical sense. The diagram below shows the generalised features of flowers which have been used to identify members of the figwort family for a long time. Complete this student activity to make a cladogram of flowers from the figwort family using the flowers above and their appearance alone. A new method is beginning to provide a lot of new evidence about how groups of living things are related. This method takes a few genes and compares the base sequence of these genes in several related species. Carry out the short activity using DNA sequences to build cladograms​. Read the following short quotation from a botanist then answer the questions which follow. When botanists create new orders (so to speak), gardeners (conservatives of the botanical world) often stubbornly hold on to the old ones. The gardeners have a point: there were reasons why these plants were bound together under one roof. They have similarities that help us to identify them, know some of their properties, and have a good idea where they like to grow. The botanists have a point, too. If these plants are different down to their DNA, it makes sense to me that there would be distinctions in their personalities and properties – how could there not be? Should we make these changes to the classification and put figworts and plantain together in the same taxonomic group? What data do we need to have to be sure that the new classification is really correct? Why do gardeners stubbornly hold on to the old classification? Extension Activity - Read the original paper which resulted in the reclassification. The group Archaea was recognised in 1977 by Carl Woese as a distinct domain different from bacteria. This division was not immediately accepted by scientists. What are the benefits of this 'conservatism'? Consider this quote, about the struggle to get a theory accepted, "A theory is a species of thinking, and its right to exist is coextensive with its power of resisting extinction by its rivals". How closely does this fit with the development of theories of classification? A great improvement to activity 2 would be to provide students with samples of the flowers, or a selection of them, together with a hand lens. Model answers are available on these pages. Please remember they are just 'model answers' there are many ways to answer these questions which will follow from the student's own interpretation of the cladograms. The essential points to learn are that cladograms are useful in determining evolutionary relationships and in the past these have been created using visible features. Now that we have DNA sequencing methods available at a much more affordable price we can use this data to improve our cladograms. It is also possible for two scientists using the same data to construct two different cladograms. Eventually using DNA sequences this will most likely become less common. The readings at the end are more thorough accounts of the methods used and the changes made to classification. considered the reclassification of the figwort family using evidence from cladistics. learned to deduce evolutionary relationships using data from cladograms. A nice explanation of cladistics can be found here on Biofindamentals - Uni of Colarado.